It was an awesome experience. Huayna Picchu view rocks. 4th day waiting at the checkpoint is a bit uncomfortable. Food was pretty good and high quality. Views on the trails especially day 2 and day 3 are only to see and cannot be explained. 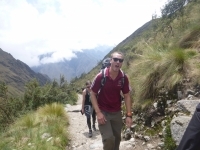 Guide was very professional and the porters too. Was awesome ! 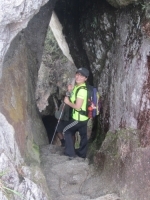 The Huayna Picchu hike was difficult and worth every step. Splendid views from the top. It rained all four days of our hike and it made it more adventurous. Just wish we could see some more views without those clouds, but then it is a totally different view with them. Had an amazing time ! Great trip - difficult but worth every step ! 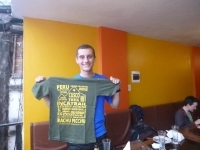 The food was delicious, much better than expected and our guide Juan Carlos was great. 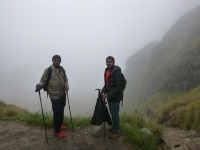 He kept us motivated through the hard parts and even gave me a hand massage when my fingers went numb from the altitude. It was a pleasure for me to have a such great time with all these people, including the staff, they're excellent. Has been an adventure and an amazing trek with all of them. We've created also such a happy friendship, incredible ! All the trek we had great times, really funny. 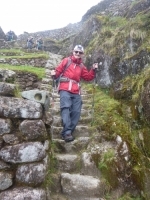 A trek that should be done by everyone in order to appreciate the beauty and the stunning setting of the Machu Picchu site. 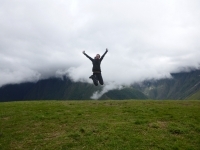 Having completed the 4 day hike with the Inca Trail Reservations staff added to the fun that can (and must) be had while en-route to this amazing site. Excellent experience ! 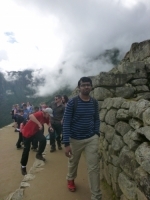 Had so much fun exploring the amazing landscape of and around Machu Picchu. Met some amazing and interesting people with lots of interesting and funny stories, which made the overall experience just fantastic ! Best time ever ! 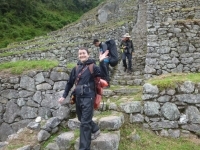 Had so much fun meeting the people in my group, seeing all the ancient sites along the trek and of course seeing the amazing Machu Picchu city at the end. A great adventure with a wonderful group of people. 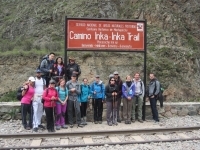 We became a walking family where we laughed, danced, sang and shared stories throughout the entire trek. I loved playing football as well as completing our challenge of standing in the very cold river for the longest. Let's just say that it was a freezing challenge. This is an amazing tour, which make you feel dead and excited at the same time. 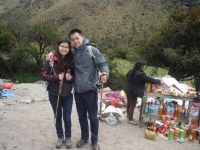 While after the 4 days, what will keep in your mind is the beautiful sites during the 4 days, the existence when you see the Machu Picchu, the happiness after you made effort to make it. 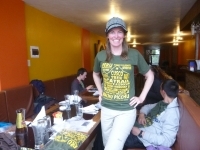 I reserved my Inca Trail on the Internet and I did not know any information about this tourist agency. 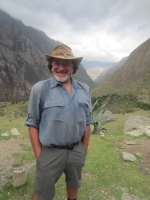 When I arrived Cusco, I really doubted the quality of this trip. However, as the hiking started, it really surprised me. 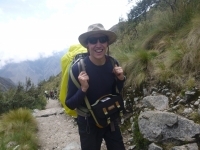 Magical, mystical, monumental, the best way to get a sense of the great Inca empire. The guides bring you into the true history of the incredible place. 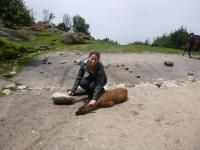 Thank you very much I will recommend Inca Trail Reservations, I enjoyed the booking process, they filled all my needs and keep in constant communication.